A better mammogram? Increasingly women are asked if they want a 3-D mammogram instead of the regular X-ray — and now U.S. health officials are starting a huge study to tell if the newer, sometimes pricier choice really improves screening for breast cancer. It’s the latest dilemma in a field that already vexes women with conflicting guidelines on when to get checked: Starting at age 40, 45 or 50? Annually or every other year? The issue: Mammograms can save lives if they catch aggressive breast cancers early. But they also can harm through frequent false alarms and by spotting tumors that grow so slowly they never would have posed a threat — overdiagnosis that means some women undergo unneeded treatment. That trade-off is a key question as doctors begin recruiting 165,000 women nationally to compare potentially more beneficial 3-D mammograms — known scientifically as “tomosynthesis” — with standard two-dimensional digital mammography. The 3-D mammograms have been marketed as being able to find more cancers. “But the idea isn’t so much finding more cancers as finding the cancers that are going to be life-threatening,” said Dr. Worta McCaskill-Stevens of the National Cancer Institute, which is funding the new research to tell whether the 3-D scans truly pinpoint the tumors that matter most. It’s one of the largest randomized trials of mammography in decades, and scientists designed the research to do more than answer that key 3-D question. They hope the findings also, eventually, will help clear some of the confusion surrounding best screening practices. “The most important thing about this study is that it’s moving us to individualized screening as opposed to what we have now, which is one-size-fits-all screening,” predicted study chair Dr. Etta Pisano, a radiologist at Boston’s Beth Israel Deaconess Medical Center. The American College of Radiology recommends annual mammograms starting at age 40. The American Cancer Society urges annual checks starting at 45 and switching to every other year at 55, though it says women 40 to 44 still can opt for a mammogram. And the U.S. Preventive Services Task Force, a government advisory group, recommends starting at age 50, with mammograms every other year. It, too, says 40-somethings can choose earlier screening. Standard mammograms take X-rays from two sides of the breast. With tomosynthesis, additional X-rays are taken at different angles — not truly three-dimensional but a computer compiles them into a 3-D-like image. First approved by the Food and Drug Administration in 2011, they’re not yet the standard of care in part because of questions that the new study aims to answer. Some studies have found tomosynthesis detects more cancer with fewer false alarms; they’re often advertised as particularly useful for younger women’s dense breasts. Understand that mammograms come with pros and cons, and weigh them, said Dr. Otis Brawley, the American Cancer Society’s chief medical officer. Breast cancer is far less common at age 40 than at age 50 and beyond. After menopause, tumors tend to grow more slowly and women’s breast tissue becomes less dense and easier for mammograms to provide a clearer image. Consider: For every 1,000 women screened every other year until their 70s, starting at 40 instead of 50 would prevent one additional death — but create 576 more false alarms and 58 extra unneeded biopsies, the task force estimated. Also, two extra women would be treated for tumors that never would have become life-threatening — that overdiagnosis problem. As for what type to choose, some insurers, including Medicare, cover the 3-D version, and a small number of states mandate coverage. Other insurers may require women to pay $50 to $100 more out of pocket. Whoever ultimately pays, extra time to analyze the scans adds to the cost. About 100 mammography clinics across the U.S., and a few in Canada, will enroll healthy women ages 45 to 74 who already are planning to get a routine mammogram. They’ll be randomly assigned to get either the regular or 3-D version for five years. Most will be screened annually but post-menopausal women who don’t have certain cancer risk factors will be screened every other year. Researchers will track every woman’s results including samples from biopsies plus genetic and other tests, as well as how any cancer patients fare. The giant database hopefully will help them tease out more information about which women benefit most from what type and frequency of screening. “Mammography has been provocative over many decades. 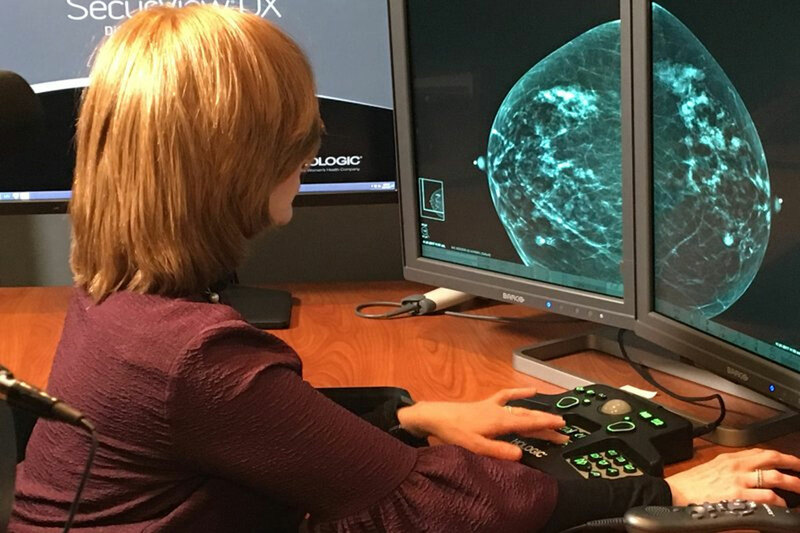 It’s important that women have a better understanding of how mammography is important for them based upon their age and other risk factors,” said McCaskill-Stevens. This article is part of the Associated Press series produced in partnership with the Howard Hughes Medical Institute’s Department of Science Education. The AP is solely responsible for all content. Are 3-D mammograms really better? It’s the latest dilemma in a field that already vexes women with conflicting guidelines on when to get checked. Walmart Embracing Robots, Can Workers be Replaced?